If all you knew about U.S. manufacturing were gleaned from today’s pundits and presidential candidates, you’d think the entire sector was being fitted for its coffin. While it’s true challenges exist, things are not as grim as they’re made out to be. No, American manufacturing does not directly employ 20 percent of the country’s labor force like it did during the late 1970s, but it’s output has never been higher. The planet is full of “Made in the USA” products, and if U.S. manufacturers and suppliers play their cards right, it will get fuller still. 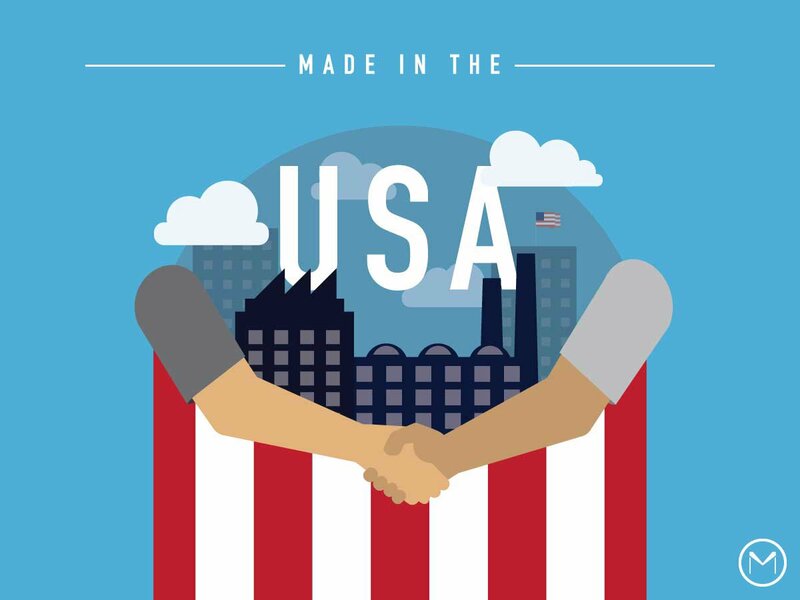 In order for that to happen in a sustainable way, however, the breakdown of trust between American manufacturers and suppliers must be addressed. Trust first began to falter between U.S. suppliers and manufacturers during the 1980s when offshoring went mainstream. While American companies had long engaged in foreign direct investment to be closer to foreign markets and materials sources, the ‘80s ushered in offshoring as a cost cutting measure. By outsourcing manufacturing to countries with cheap, unregulated and non-unionized labor, fatter bottom lines were almost immediately achieved. Back stateside, U.S. machinists and factory line workers lost their jobs. Factories and shops closed. In some instances, whole towns were basically gutted and left for dead. The suppliers still standing funnelled their little remaining power into making the RFQ process even murkier in order to ensure they made as much money as possible when jobs did come their way. The breakdown in trust was well underway, and it would only get worse in the coming decades. Of course, believing U.S. corporations and suppliers should have — or could have — acted otherwise given the circumstances is to misunderstand the nature of business. The pursuit of revenue and the complementary cutting of costs are always a company’s first order of business, regardless of its mission statement or on which side of the manufacturing coin it finds itself. Instead of expecting CEOs to choose lower profit margins by keeping costly shops and factories open across America’s heartland on principle, manufacturers and suppliers could have joined together to lobby for policies that incentivized the making of U.S. goods in the good ol’ U.S. of A. Instead of expecting shops and factories to willingly price themselves into the basement in order to get jobs they’d only lose money on, manufacturers and suppliers could have worked together to increase overall domestic competitiveness and productivity. If that sounds like a pipedream, consider how high the costs of offshoring actually are. That’s a quote from 1988. In today’s fractured, fast and just-in-time marketplace, offshoring as a cost cutting measure makes even less sense than it used to. Why cut costs making products in China today if the market you’re serving in the U.S. changes its mind about what it wants to buy tomorrow? From fluctuations in shipping expenses to a regional coup d’etat that disrupts your supply chain, offshoring can actually cost thousands — if not millions — of extra hours, dollars and customer complaints. With a well-executed distributed manufacturing model that moves beyond the RFQ with visibly aligned prices and costs, both U.S. manufacturers and U.S. suppliers stand to win and win big. Thanks to America’s skilled and highly productive suppliers, manufacturers can bring products to market just-in-time, no matter how fickle the consumer gets. Thanks to that ongoing investment in real dollars and cents, the skills and productivity needed to keep bringing products to market just-in-time will keep being available, too. At long last, it’s become clear that U.S. manufacturers’ and suppliers’ goals are in alignment. Today’s consumer wants it now, in slate gray or coral —no jade — with 20-inch rims and an already-charged battery. Without a network of suppliers able to handle that kind of quick and granular manufacturing on-demand, manufacturers will lose, and if that happens, they’ll take even more jobs with them. It’s time to bring more manufacturing jobs home — not because of sentiment, but because it makes good business sense for everyone involved. What’s good for the goose is localized and distributed manufacturing. It also happens to be good for the gander. Finally, everyone is starting to realize it. MakeTime is a distributed manufacturing platform for U.S. manufacturers and suppliers. To find out how MakeTime can benefit your manufacturing company, contact us today.